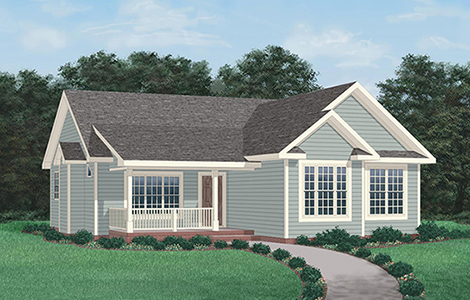 From the deep front porch, step inside to the family room with its vaulted ceiling and fireplace. As you walk through the well-planned layout, notice the high ceilings and all these special built-in features: Dining area admits lots of light through. French doors. Kitchen includes an elevated serving counter/bar and a pantry. Easy traffic flow among the kitchen, dining area, family room, and rear deck�perfect for informal entertaining. A utility closet is conveniently located yet unobtrusive. 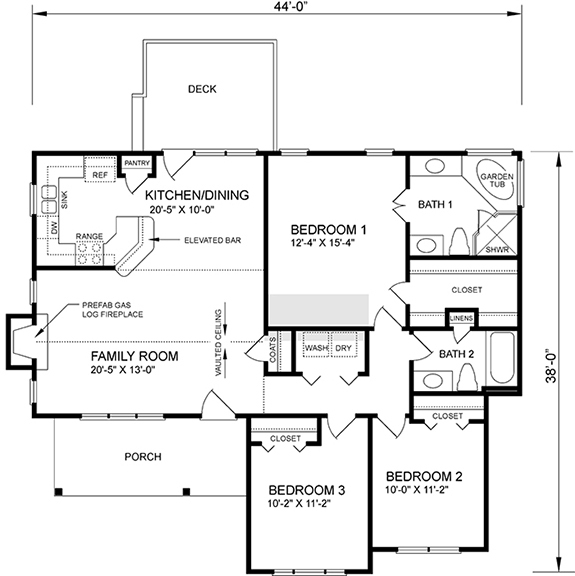 Bedrooms 2 and 3 feature attractive window arrays and have a full bath nearby. The master bedroom has a generous walk-in closet and a private bath with two vanities, a garden tub, and a separate shower.